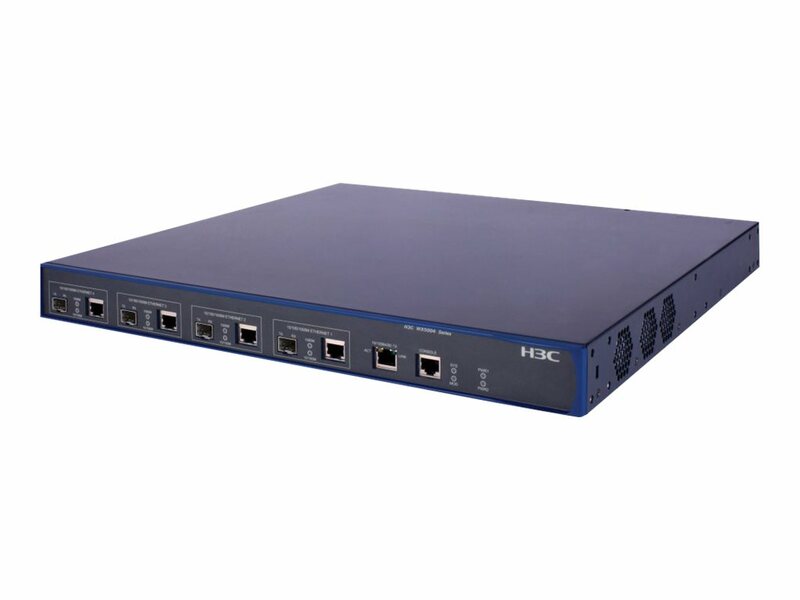 The HP WX5000 Access Controller Series features large capacity, high reliability, and rich services, and offers strong wired and wireless data processing capacity. 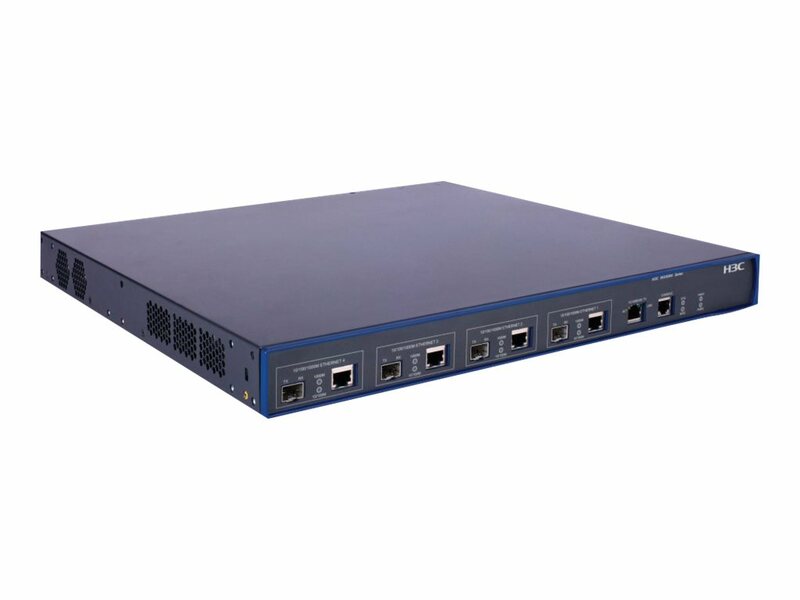 The WX5000 series provides refined user control and management, a comprehensive RF management and security mechanism, fast roaming, strong QoS and IPv4/IPv6 features, and powerful WLAN access control functions. Designed for WLAN access of enterprise networks and metropolitan area networks (MANs), the WX5000 series provides an ideal access control solution for the WLAN access of large enterprise campus networks, wireless MAN coverage, and hotspot coverage. The WX5000 series include two models: the WX5002 and WX5004 access controllers. A standard WX5002 access controller supports up to 32 APs, and can support up to 64 with license upgrades. A standard WX5004 access controller supports 64 APs, and can support up to 256 with license upgrades. End-to-end QoS: developed based on the Comware V5 platform, the WX5000 access controllers support not only the DiffServ standard but also the IPv6 QoS; the QoS DiffServ model includes traffic classification and traffic policing, completely implementing the six groups of services (EF, AF1 through AF4, and BE); this enables ISPs to provide differentiated services for users, making the Internet a true integrated network carrying data, voice, and video services at the same time. Class of Service (CoS): sets the IEEE 802.1p priority tag based on IP address, IP Type of Service (ToS), Layer 3 protocol, TCP/UDP port number, source port, and DiffServ. Automatic radio power adjustment: automatic AP power adjustment features analyze user access status in real time, adapting power requirements based on environmental changes and providing high-quality user access signal coverage. Automatic radio channel adjustment: intelligent channel switching and real-time interference detection provide the allocation of a high-quality channel to each AP, reducing adjacent channel interference. Load balancing: intelligent load sharing analyzes the locations of wireless clients in real time, providing high-quality client throughput regardless of location or number of online sessions. Rogue AP detection: regular scans for rogue APs help confirm that the network is secure. Enterprise network management: is supported by the Web-based, enterprise-class HP Intelligent Management Center (IMC) network management platform and Wireless Service Management (WSM), which effectively integrate traditionally disparate management tools into one easy-to-use interface. IPv6: IPv6 host enables controllers to be managed and deployed at the IPv6 network's edge; dual stack (IPv4 and IPv6) transitions from IPv4 to IPv6, supporting connectivity for both protocols; MLD snooping forwards IPv6 multicast traffic to the appropriate interface, preventing traffic flooding;IPv6 ACL/QoS supports ACL and QoS for IPv6 network traffic. IEEE 802.11h ITU compliant: employs Dynamic Frequency Selection (DFS) to automatically select another channel and adjust transmit power to reduce interference with systems such as radar, if it is detected on that same channel. 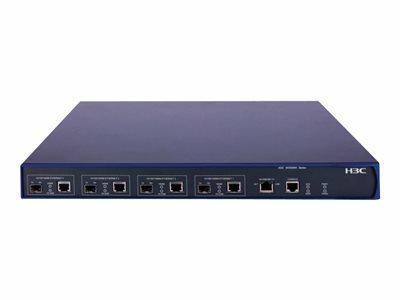 Flexible forwarding modes: the WX5000 access controller supports both distributed forwarding mode and centralized forwarding mode, allowing you to set SSID-based forwarding type as needed; in a wireless network of centralized forwarding mode, all wireless traffic is sent to an AC for processing; if there is a wireless network where APs are deployed at branches, ACs are deployed at the headquarters, and APs and ACs are connected over a WAN, the distributed mode will be necessary. Carrier-Class Wireless User Access Control: user-based access control is a feature of the WX5000 access controller; for different application scenarios, you can configure different items in a user profile, such as Committed Access Rate (CAR) and QoS policies. Fast roaming: supports Layer 3 roaming and fast roaming, satisfying the most demanding voice service requirements. High performance: robust switching capacity and wire-speed processing provide powerful forwarding capacity for medium and large enterprise-sized WLANs.